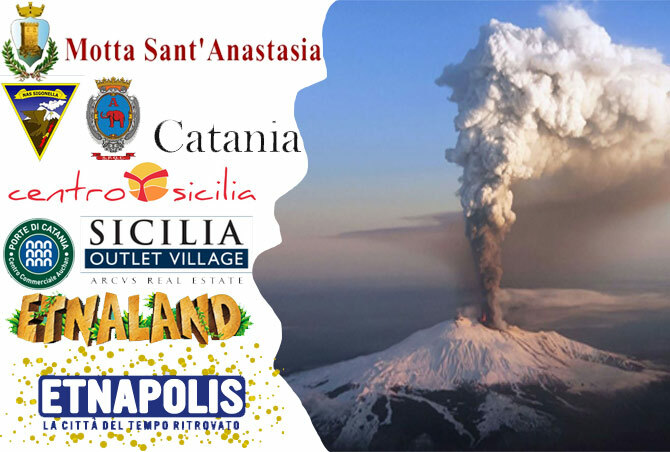 Hotel Sigonella Inn is located on the SS 192, just minutes from Catania International Airport, a short distance from the shopping Center Etnapolis, Centro Sicilia and Porte di Catania , from the Acquapark and Themepark Etnaland and from the Natural Park of the Volcano Etna. Motta Sant Anastasia – Motta, like other cities in the Simeto Valley, has ancient origins. Archaeological studies dating back to 1954 in contrada Ardizzone, attest Greek presence in the territory around the 5th–4th centuries BC. The Roman period, however, was evidenced by the discovery of some coins from the period of the great empire, and a mosaic found in contrada Acquarone, belonging to a villa. Etnaland – 30 years of activity and experience, during which we were first Zoological Park, (1983-2007), a destination for visitors of all ages. Time goes by and the Zoo has evolved in todays Waterpark, (2001), one of the most beautiful and appreciated at European level, soon ( 2013) Etnaland will increase its offer with the new Theme Park. Le Porte di Catania – Shopping Shopping Shopping !! Etna – Rifugio Sapienza – Mount Etna is one of the most active volcanoes in the world and is in an almost constant state of activity. The fertile volcanic soils support extensive agriculture, with vineyards and orchards spread across the lower slopes of the mountain and the broad Plain of Catania to the south. Due to its history of recent activity and nearby population, Mount Etna has been designated a Decade Volcano by the United Nations. In May 2013, it was accepted as a UNESCO World Heritage Site, and its official proclamation is scheduled for June. Naval Air Station Sigonella – NAS Sigonella is located in eastern Sicily approximately 16 km west of the city of Catania and approximately 24 km due south of Mount Etna, an active volcano. It occupies a tract of land at NATO Maritime Airfield Sigonella which is operated and hosted by the Italian Air Force. The U.S. has maintained a permanent presence at the activity since 1959. NAS Sigonella provides consolidated operational command and control, administrative, logistical and advance logistical support to U.S. and other NATO forces. In the discharge of its mission, NAS Sigonella is assisted by a number of tenant organizations and support units. Catania – Catania has had a long and eventful history, having been founded in the 8th century BC. In the 14th century and the Renaissance, Catania was one of Italy’s most important and flourishing cultural, artistic, and political centers, having witnessed the opening in 1434 of the first university in Sicily. Today, Catania is one of the main economic, touristic, and educational centers in the island, being an important hub of industry, thus gaining the nickname, “European Silicon Valley”. Etna – Rifugio Sapienza – Mount Etna is one of the most active volcanoes in the world and is in an almost constant state of activity. The fertile volcanic soils support extensive agriculture, with vineyards and orchards spread across the lower slopes of the mountain and the broad Plain of Catania to the south. Due to its history of recent activity and nearby population, Mount Etna has been designated a Decade Volcano by the United Nations.In May 2013, it was accepted as a UNESCO World Heritage Site, and its official proclamation is scheduled for June. Sicilia Outlet Village – Sicilia Outlet Village is located in the heart of Sicily, amongst art, archeological sites and extraordinary cities. The Village offers the opportunity to shop at affordable prices in over 140 stores featuring some of the most important and best-known fashion brands.